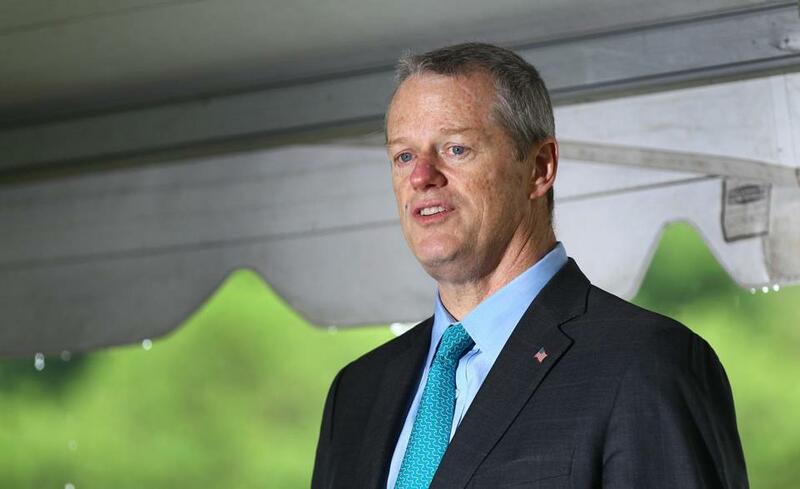 A day after President Trump withdrew the United States from the Paris climate accord, Governor Charlie Baker on Friday joined other states to form an alliance they said would strive to stick to the commitments the nation made two years ago in France. Baker teamed up with a fellow Republican governor, Phil Scott of Vermont, as well as the Democratic governors of New York, California, and Washington to start the United States Climate Alliance, pledging to bolster efforts to curb greenhouse gases to offset the lack of federal action. 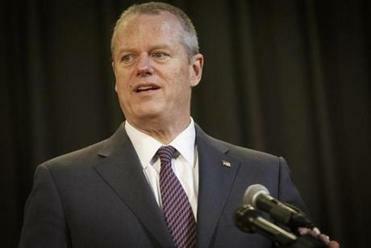 Baker said he was reiterating the state’s plans to go even further than the emission reduction targets of the Paris Climate Agreement. “Our administration looks forward to continued, bipartisan collaboration with other states to protect the environment, grow the economy, and deliver a brighter future to the next generation,” Baker said in a statement. It was unclear what, if any, obligations that would mean for Massachusetts, which already has a legal requirement to cut its greenhouse gases 25 percent below 1990 levels by 2020 and 80 percent by 2050. The governor’s decision also comes as officials and environmental advocates throughout the Northeast seek to bolster its market-based climate change program known as the Regional Greenhouse Gas Initiative. Governor Baker’s departing labor secretary is the first cabinet member to leave the Republican’s administration. That regional initiative, called RGGI, is considering a range of steps to beef up its role, including expanding to more than its current nine states, requiring members to make greater cuts to their emissions, and extending the program to regulate other sectors of the economy. RGGI is considered a national model for showing it’s possible to cut emissions while also growing the economy — in spite of Trump’s argument that the international pact to tackle climate change would kill US jobs. Dykes and others said the group could have a greater impact as it scales up. RGGI works by holding auctions several times a year to solicit bids for pollution permits from power companies. Those permits, or allowances, can be traded between companies based on how much carbon dioxide they release. Over time, the caps on the allowances have been lowered, making the permits more expensive and providing financial incentives for companies to use cleaner energy. Proceeds from the auctions support energy-efficiency programs in the nine states. Since the cap-and-trade program began in 2008, for example, Massachusetts has earned more than $400 million from the auctions. Between 2005 and 2015, the program has led the region to reduce power plant pollution by 45 percent, while nationwide the decline was only 20 percent, Dykes said. At the same time, the states’ economies have grown by an average of 6 percent, compared to 4.1 percent for the rest of the nation. “Massachusetts and other RGGI states now have an opportunity to recommit to climate leadership by strengthening the program to deliver deep reductions in carbon pollution,” said Peter Shattuck, director of the Acadia Center in Massachusetts, an environmental advocacy group. Those changes will require overcoming political hurdles as the states seek to balance differing interests and concerns. Massachusetts has pressed other states in the group to require power plants to cut carbon emissions twice as fast as the current guidelines. The proposal would curb emissions by 5 percent each year between 2020 and 2031. But if nothing is done to update the program, which encompasses states from Maine to Maryland, the current emissions requirements will expire at the end of the decade, compromising the region’s efforts to curtail the heat-trapping gases that climate scientists say are responsible for global warming. The group expects to decide on new limits in the coming months. At the same time, there are signs that RGGI could expand. Last month, Governor Terry McAuliffe of Virginia signed an executive order requiring his state to limit power plant emissions to the levels of those in RGGI, which could be a prelude to the state’s joining the group. New Jersey may also rejoin the group after Governor Chris Christie leaves office next year. Christie pulled the state out of the program in 2011. Meanwhile, several states in the region have also been pushing to expand the program to curb emissions from cars and trucks, which now accounts for about 40 percent of the region’s emissions, or twice as much as power plants. While the regional initiative to curb greenhouse gases has been in place for years, new agreements have formed in the past few days after Trump’s announcement. Scott, the Vermont governor, announced he would joined the U.S. Climate Alliance, the group started by the Democratic governors of California, New York, and Washington. Governors Dannel P. Malloy of Connecticut and Gina Raimondo of Rhode Island — both Democrats — also are joining the alliance. The governors’ plans for the alliance coincides with an effort sponsored by former New York City mayor Michael Bloomberg to submit a plan to the United Nations from cities, states, universities, and companies to meet the nation’s commitments to cut carbon emissions. Still, state and regional action can only do so much to replace a concerted federal effort to cut emissions. John Holdren, a professor of environmental science and policy at Harvard University who served as science adviser to former president Barack Obama, said he is hopeful that cities and states could nudge the United States closer to the commitments it made in Paris to cut emissions between 26 and 28 percent below 2005 levels by 2025. “We’ll get part of the way there, but it would be much easier if the federal government continued to lead,” he said. Matt Viser of the Globe Staff contributed to this report. David Abel can be reached at dabel@globe.com.